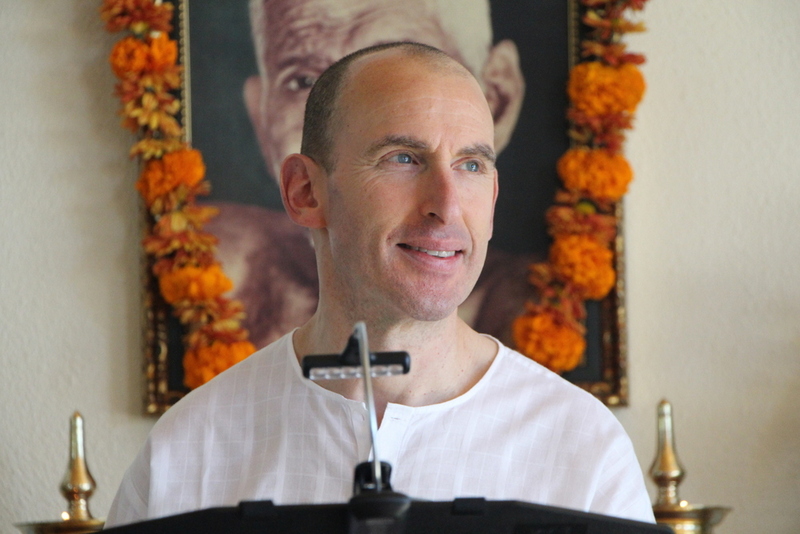 "My children, if you want to practise yoga, you must remove all attachment from your hearts. If you cannot do this, keep the company of holy men, for holy company is the panacea for the disease of worldliness." Sat is Being. Sat is the Substratum. Sat is the Self. “Satsanga means sanga, association with Sat. Sat is only the Self. Since the Self is not now understood to be Sat, the company of the sage who has thus understood it is sought. That is Sat-Sanga. Introversion results. Then Sat is revealed. 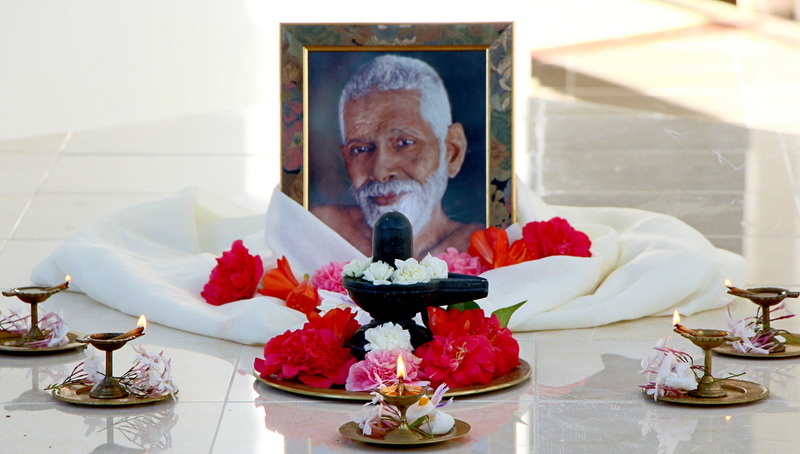 Satsang offered at the Society of Abidance in Truth is a means by which one may understand and experience Self-inquiry, as revealed by Sri Ramana Maharshi, and thus learn its significance in the teaching of Advaita Vedanta. 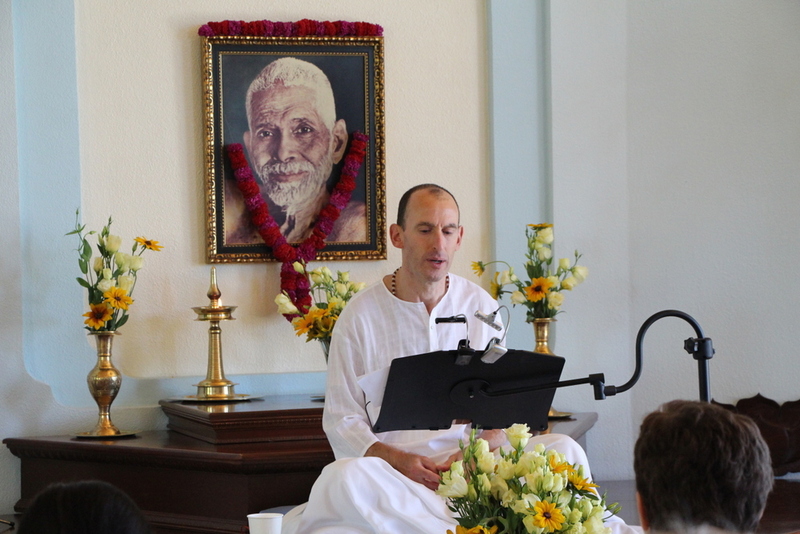 Sri Ramana’s teaching of pure Advaita, which is identical to that of Ribhu and Sankara, is the guiding light by which all events at SAT are illumined. 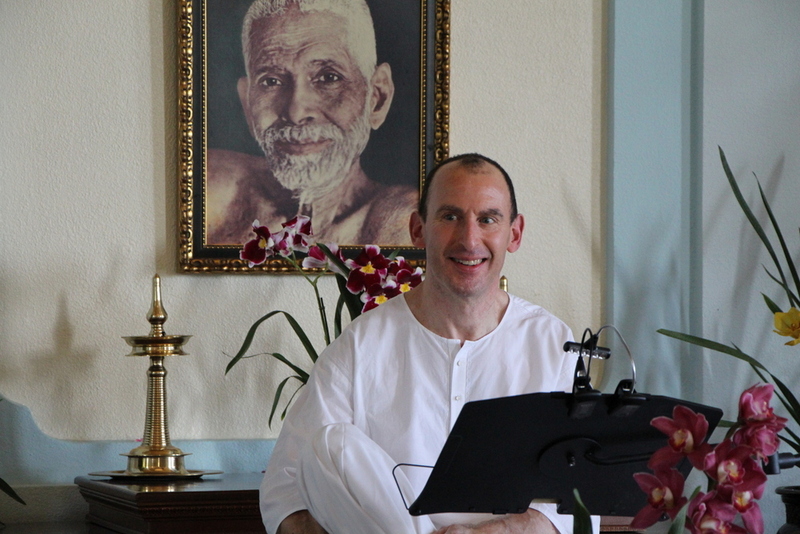 "In satsang, doubts are resolved, questions are answered, the Truth is revealed, and the way to realize is shown." 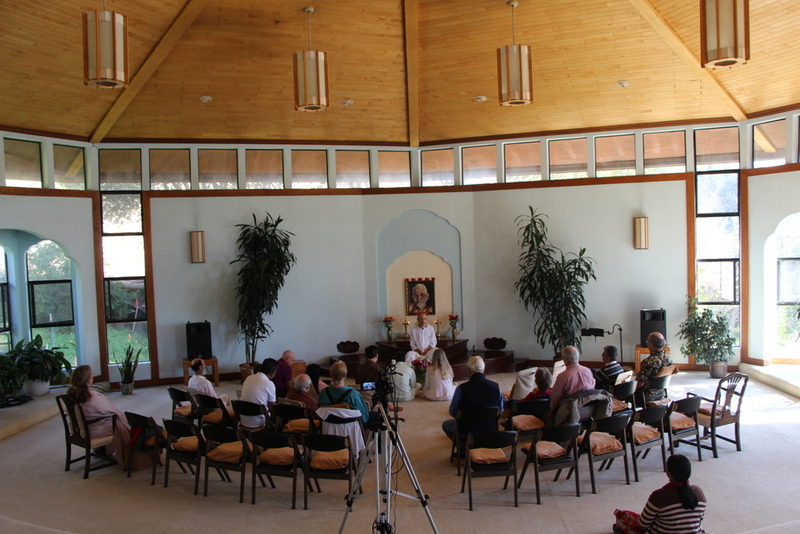 "Satsang with a wise sage is more than words floating through the atmosphere; it is the experience of Reality itself. Those attuned to this phenomenon understand the greatness of association with the sage and the power of satsang." Satsang offered at the Society of Abidance in Truth reveals the nonexistence of multiplicity by succinctly pointing out the mistaken views of superimposition (names and forms) of the unreal upon the Real. With superimposition removed, the Self shines in all its glory. The Self, are not different at all. Ribhu tell us that multiplicity is nonexistent, the Self alone is, and to abide in the Self that is Brahman. There, the modifications of prakrti (material nature, the fundamental form, the primary substance), beginning with “I,” finishing with the body (taking its abode in the body) and in all the sense-objects, in a moment, become different. 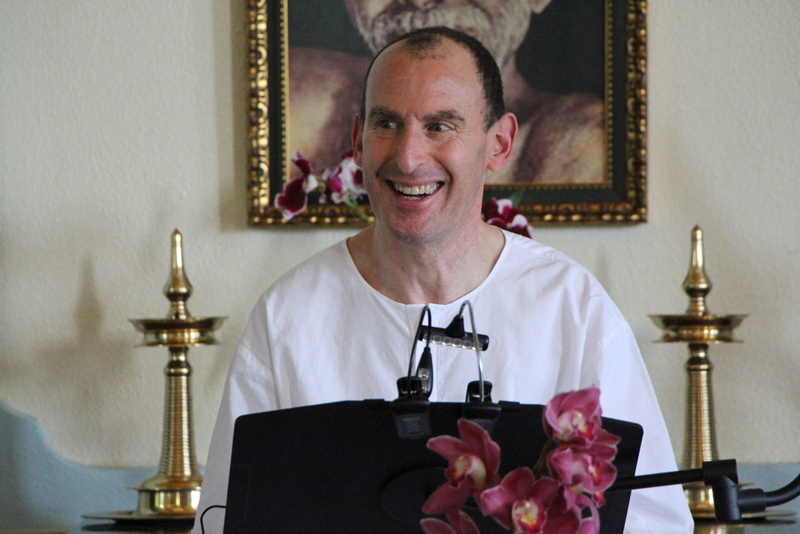 This Self does not rise or disappear, at any time, and is not different (otherwise). There, the modifications of prakrti (material nature, the fundamental form, the primary substance), beginning with “I,” finishing with the body (taking its abode in the body) and in all the sense-objects, in a moment, become different, indeed, destroyed and are unreal, but the Self is never different. Eternal, nondual, undivided Consciousness, of one nature, the witness of the intellect and such, different from existence (of things) and nonexistence (of things), the indicated meaning of the certainty of the word “I,” and the mass of eternal Bliss (the mass of Being-Bliss) is the Supreme Self. In this manner, the wise sage, distinguishing the real and the unreal, having ascertained the Truth by his own experience of Knowledge, having known his own Self to be the partless Knowledge, is liberated and, by himself, indeed, becomes peaceful. “In the company of sages, attachment vanishes; and with attachment, illusion. Freed from illusion, one attains stability, and thence liberation while yet alive.